Energy Bill Passes House: Dow Chemical Happy, Green Peace Sad. There is a simple solution to our energy problems: a ‘carbon tax.’ The federal government determines a tax on carbon emitting fuels such as oil, natural gas and coal. The higher the tax, the less carbon is output. This scheme is overwhelmingly supported by economists and environmentalist. Of course, a solution that simple doesn’t provide enough complexity for special interests to leverage their political capital and distort the market to their benefit. Thus, The American Clean Energy and Security Act of 2009 proposes a much more complex system of cap and trade that provides pork to all the necessary players. The ‘Energy Bill’ creates a ‘cap and trade’ market. The government determines how many emission allowances are issued every year (cap) and then organizations purchase allowances (trade) so they can legally emit carbon. In a traditional cap and trade system, allowances are sold in a free, open market, but in the system Congress voted to pass, 85% of allowances in the first year will be allocated by the government, leaving just 15% of the allowances to be auctioned off in the free market. This means the government will determine which businesses can emit carbon freely and which have to pay. By 2020, 10% of allowances will be allocated, [1. http://features.csmonitor.com/environment/2009/06/04/key-points-of-the-climate-energy-bill-before-congress] giving politicians ample time to profit. Scary image for environmentalists... and humans. An inherent problem with any cap and trade system is that it’s only as effective as the level of the cap. If a cap is set high, the cost of emitting is negligible, and no progress is made. The current cap is set too high so reductions in carbon will be modest. The size of the bill’s incentives for green technology development is also modest. This disappoints environmentalists and scientists most. This bill is over 1000 pages, and I’ve probably read about the same amount as your local congressman (zero) so it’s clear that we’ll all be learning much more about this legislation in the future. What’s clear so far is that corporate America loves this bill. (Ford and Dow Chemical are strong advocates.) Many environmental organizations do not. (Green Peace opposes it.) [2. http://www.nytimes.com/2009/06/27/us/politics/27climate.html] Gore says it’s the best we can do and ‘there is no back-up plan.” [3. http://blog.algore.com/2009/06/a_historic_opportunity.html] Classic. This bill isn’t all bad. In fact, it does do one tremendously significant thing: it creates a structure that allows the US to regulate greenhouse gas emissions. This is a huge victory that has come 30 years too late – delayed by the same forces that pushed this bill through. If this bill becomes law, we’ll have the structure necessary to ratify a global treaty on climate change at the Climate Conference in Copenhagen this December. A global framework to reduce greenhouse gas emissions is a noble objective and the first milestone in the struggle to stabilize our planet’s environment. Our objective is to reduce the emission of greenhouse gases in America to a level that will prevent climate collapse. Our solution is to make the emission of greenhouse gases increasingly expensive. Our mechanism is a nation-wide tax on the consumption of fuels that emit greenhouse gases. 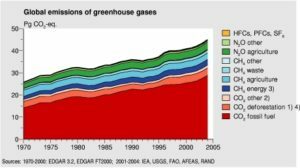 Scientists estimate the amount of greenhouse gases America can omit and still achieve our objective. Economists determine the amount each fuel source must cost to achieve the necessary reduction. The legislature enacts a law taxing fuels proportional to the amount of greenhouse gases they emit. This means coal and oil would be taxed more heavily than natural gas. Beef would also be taxed because the methane cattle produce is a substantial greenhouse gas. One portion of the revenue from this tax is used to finance a rebate for low income individuals so they’re not disproportionally burdened by this tax. Another portion of the tax is spent creating solutions to the energy problem: improving our transportation infrastructure, updating our electric grid and subsidizing the consumption of low emission energy like solar and wind. The tax does not have loopholes special interests can use to avoid paying their fair share and can be collected by existing government institutions, so there is no need to increase the size of government. 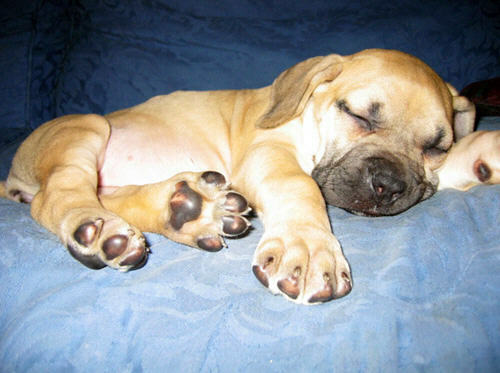 The bill is as simple as the dreams of a sleepy puppy.